The species is distributed from Eastern Europe through temperate Asia, and China to Japan. In Armenia the species was recorded in forests of central regions just several times in 1970s. The specimens caught at the elevation range between 1800 and 2200 belong to the nominate subspecies. The species is known to use Salix spp and Ulmus spp as the host plants. 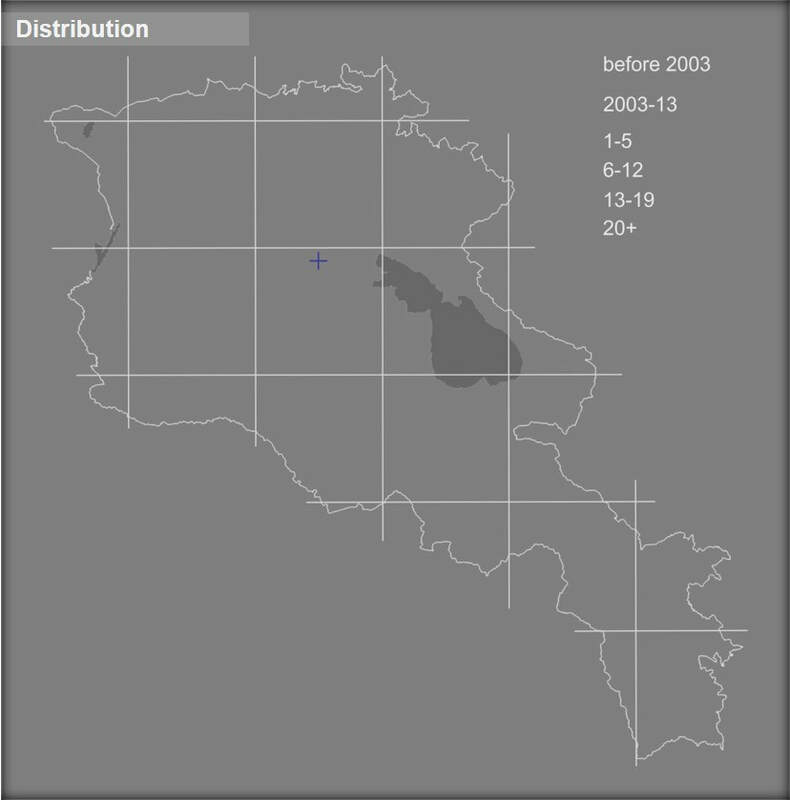 In other parts of its distribution range within Caucasus the species gives one generation per annum flying from late June till hibernation (late September - early October) and then from April till early May. There are only three specimens of the species known from Armenia. At current it is not yet known whether it became extinct fro the country. The species is not included in the Global and National Red Lists, as well as in CITES and Bern Conventions. Preliminary assessment of the species conservation status suggests it as Critically Endangered, and requires organization of special study aimed at identification of the species' presence in the country. Results of such survey can then support making of a decision about change of the status into Extinct or development of urgent conservation measures.